Heavy duty eco friendly Cork Yoga Block from Yoga Direct will bring you serenity and peace on your mat by subtly bringing the flat surface up to meet your hand in balancing/standing asanas. Maintain balance and proper alignment with one of our standard size four inch cork blocks. 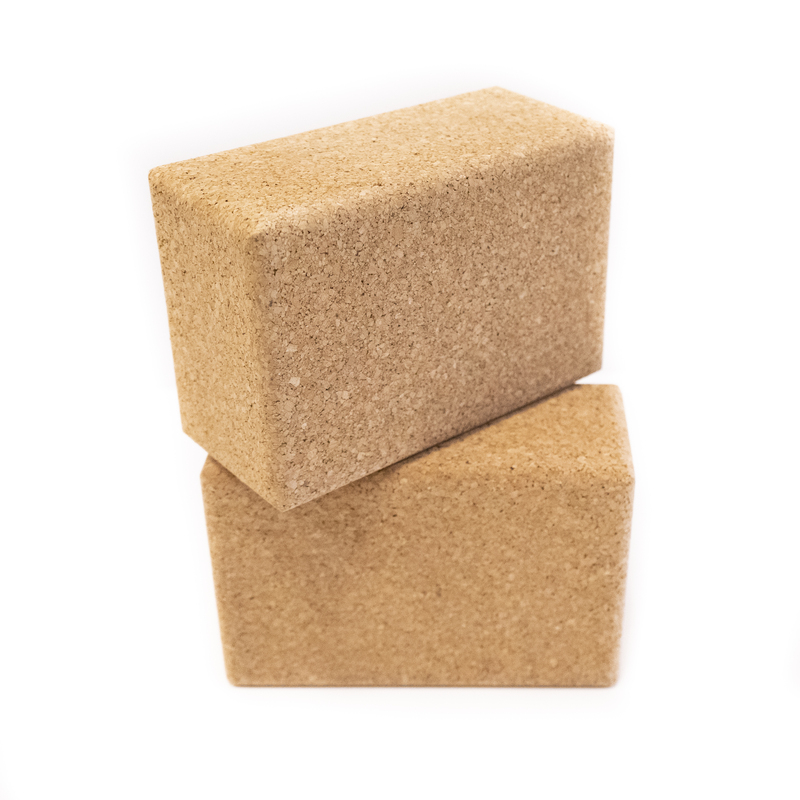 This one is made from all-natural sustainable/renewable cork, which builds a much denser yoga block than composite foam, so it supports more weight and is longer-lasting. Our cork blocks are the best deal on the web, priced wholesale. Buy in bulk and save even more! Our cork yoga blocks are also available in a smaller 3" option or 4" wood.